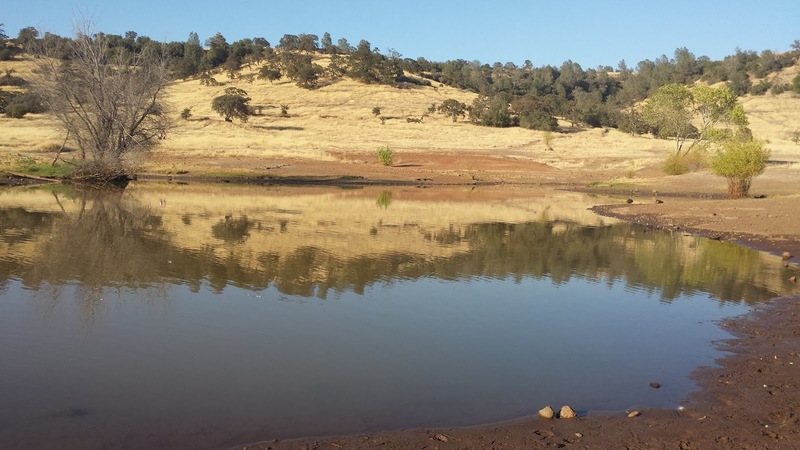 Horseshoe Lake is a shallow turbid pond that is located along Wildwood Avenue in Upper Bidwell Park. This pond was originally built as a reservoir in the 1930s to irrigate the Bidwell Golf Course but was abandoned due to the cost of maintenance. This pond is stocked with channel catfish every year for the annual Hooked-On-Fishing event that usually takes place in May. Due to the limited clarity of the pond the majority of anglers who fish Horseshoe Lake use bait. 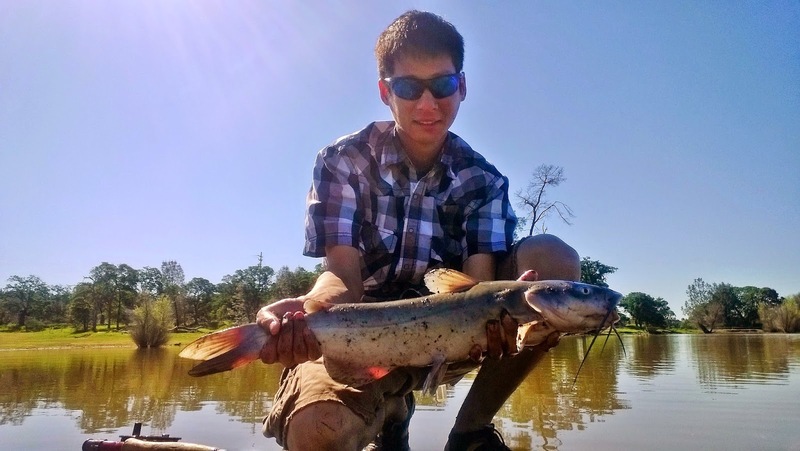 Bait fishing works well for the catfish that inhabit Horseshoe Lake but fly fishing will grant you the opportunity to catch the big three; largemouth bass, channel catfish, and carp. The very limited fishing opportunities in Chico (BCC closed during the spring, Butte Creek closed most of the year) made Horseshoe Lake the only nearby body of water that I could legally fish during the spring. This lake was very challenging to learn with a fly rod however once I cracked the code the rewards were amazing. A) Opened all year around. *Although not enforced very well, Horseshoe Lake is catch-and-release for adults. Please release your fish so that children can enjoy a great fishing experience. Horseshoe Lake is located in Upper Bidwell along Wildwood Avenue off of East Avenue. Why is Horseshoe Lake so challenging? The fish in Horseshoe Lake primarily hang out near the bank and structure. They are extremely wary and have adapted to using their other sense due to the turbidity. 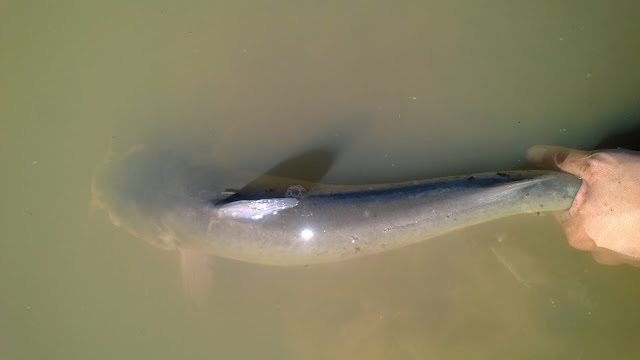 If you walk along the bank you will sometimes see the left over ripple of a spooked fish. They will see you before you see them. Figuring out which fly pattern to use when there is zero clarity can be very difficult. 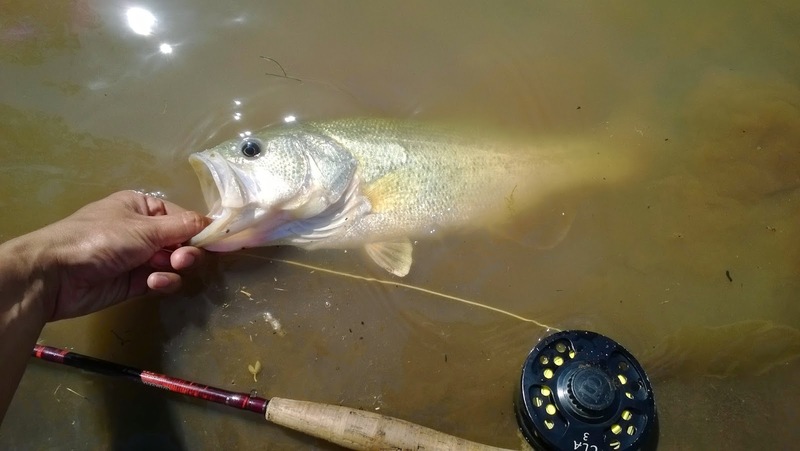 Largemouth Bass: The best time to fish Horseshoe Lake for bass is between March - May. Once the water temperature is above 55°F the largemouth will begin moving closer to the banks. The winter runoff should have increase the size of the lake and bring the water closer to vegetation along the banks. Target the coves and fish around structure. I tend to catch more bass early in the season rather than later. Channel Catfish: Catfish can be caught during the warmer days before the Hooked On Fishing event. Channel cats are the most common catch at Horseshoe Lake. Fish near structure and drop-offs to find these hard fighting fish. 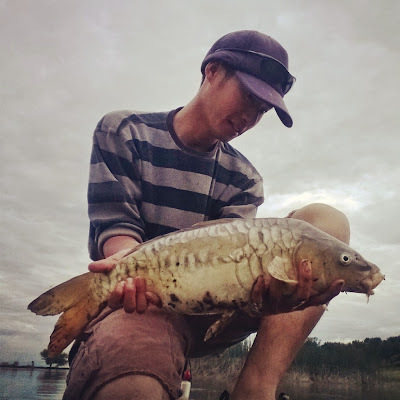 Carp: Have you ever wanted to fish shallow flats for monster carp? Horseshoe Lake is the only place so far where I have found anything close to this experience. The lake is relatively shallow which creates the opportunity to find these golden ghosts tailing near the flat banks. Encountering a Horseshoe Lake carp is mostly based on luck; some days will provide ample opportunities to cast to these fish, other days will have no carp activity whatsoever. Look for these fish in the afternoon or evening during hot windless days in April or May. The carp in Horseshoe Lake only eat one fly pattern, the chartreuse egg. Tie these in a size 6 or 4 and make sure you soak it up with water before presenting them. Cast ahead of them and then slowly strip your fly to their location. This is extremely difficult fly fishing but very rewarding. Strip dark flies near the bottom and cover as much water as you can. Once the fly is about a rods length away, slowly lift the fly up. Most of the takes are during the lift. The takes are often subtle so set the hook on everything. The east and north end have been the most productive side for fly fishing. You will lose a lot of flies at Horseshoe Lake therefore I suggest using simple patterns. A pattern that I've come up with that catches both largemouth and catfish at Horseshoe is the chenille minnow. 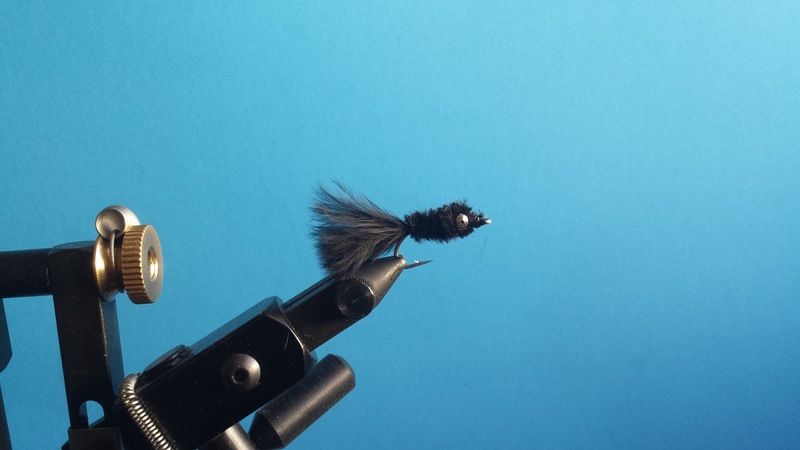 The chenille minnow matches the abundant mosquito fish that inhabit the lake. A double streamer rig can work wonders if you don't mind losing a few flies. Fishing two streamers gives the fish another chance to grab your fly if it happens to miss the first offering. A hook sharpener is also very useful when fishing Horseshoe Lake. Once the Hooked-On-Fishing event happens the lake is done for the year. Fly fishing becomes extremely poor and it takes the rest of the year for the lake to recover from the extreme pressure, trashing, and fish-kill.